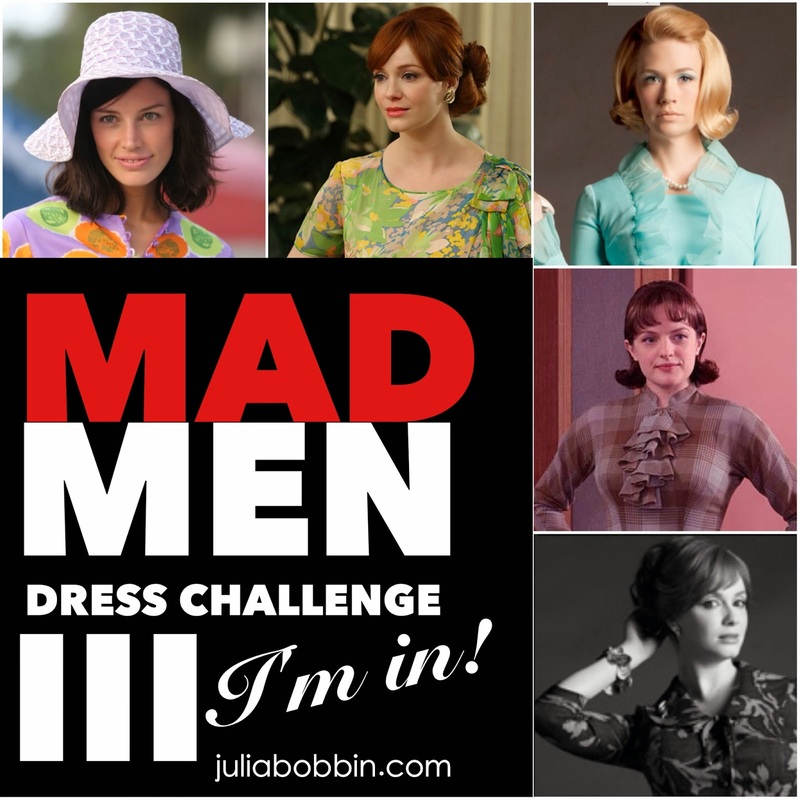 JuliaBobbin: MAD MEN Challenge 3 - You IN? 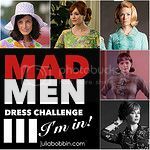 MAD MEN Challenge 3 - You IN? CLICK HERE TO VIEW THE CHALLENGE RESULTS! Ladies and gentleman of the sewing world ... it's Mad Men time! 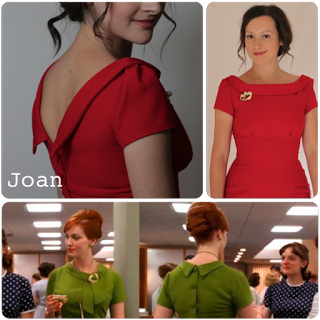 Recreate a Mad Men dress that you love. It doesn't have to be an exact copy, you can just be inspired by the style of the 50's, 60's and early 70's. 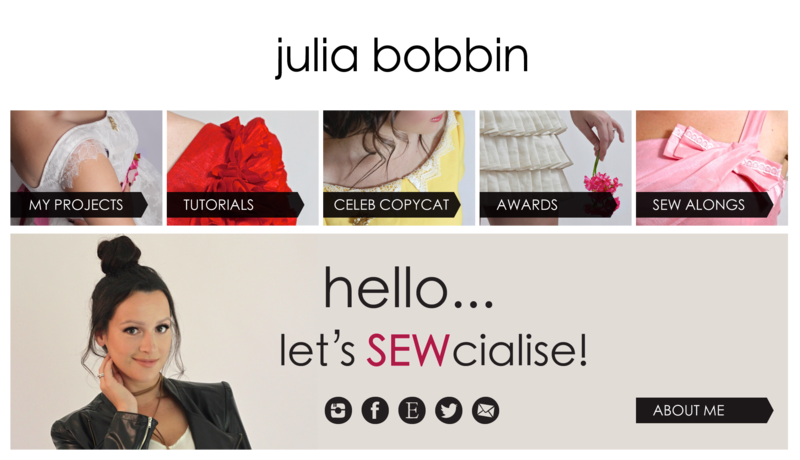 I love this sewing community and group challenges are a great way to meet other like minded vintage lovers. It's so rewarding to set yourself a sewing goal, and we all get to be inspired by the beautiful creations that people make. What's more it's a great way to discover new blogs to follow and to get yours out there. Don't have a blog? No worries! You don't need to have one to be part of the fun. A link to your blog post showing your finished dress. Make sure you blog about your garment before you send me the images so that I have a blog post to reference. Don't have a blog? No worries! You only need to provide your blog details if you want to. Plenty of people took part in past challenges that didn't have a blog. Your name (or alter-ego) and your blog name. Once I have received the above information I will respond with a confirmation within three days that it has been received. Got any questions? Still not sure what you have to do? Just send me an email! Send the above details to me by Tuesday, April 1st – that gives us about six weeks to create a masterpiece! Check out the Mad Men challenge from 2013 and 2012. It'll blow your mind! 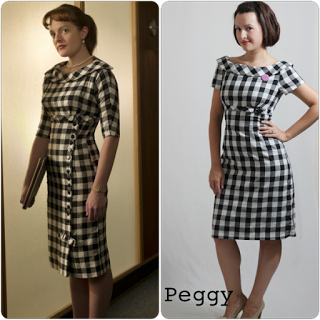 Head over to my Mad Men pinterest board for lots of pics of fabulous get-ups from the show. So ... You in? Say yes yes yes!! (will also accept just one yes). For some reason I thought last year's season was the last one! I can't even remember what happened in the finale, it's been so long!! Yay for Mad Men challenge. I'll have to rewatch last season to get some inspo! I'm so far in I can't even see the exit. Yes! This will be my first official Mad Men Challenge.... though many of my garments are of that era. Yes, count me in. I have been drooling over the delights from the previous two challenges and I know exactly what I am going to sew! Haven't watched Mad Men in quite some time but I can't turn down this challenge! Yes! Yes! Yes! Count me in! Put me down - my first Mad Men challenge. Not sure if my skills are up to for it, but hey you never know. The 50's are my favourite period of all time - can't wait to see what others do. I've loved seeing the results of the last two, and now I think I can finally say: yes I'm in! This will be a first for me, but I'll give it a shot! I'm trying to get up the gumption to sew a few of my vintage patterns and this will give me a push in the right direction! I'm going to sit this one out, but I'll be following along. Can't wait to see what everyone makes! Oooooo! I want to be in, but let's see if I can pull it off in 6 weeks! I need to play a LOT of catch up, but I will totally try my best to do this sew along! So totally in for this one!! YES! I'm super excited for this! I've been waiting for your announcement! Now, on to finding the perfect dress and fabric! eeek! 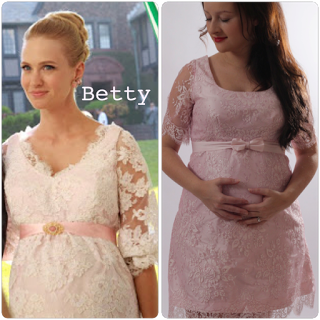 Oooh, I've never seen the show, but the vintage dresses....so sweet! 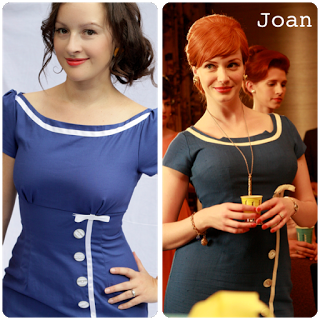 Yep, this could be my year to sew a Mad Men inspired dress! Yay! Will try to sew along! Madmen challenge is like christmas and my birthday (and a costume party) all at the same time so YES PLEASE! Count me in! Now I'll bury myself in pinterest to find the perfect dress! Can't participate rate now. Can't wait to see what others have made! OMG! I've been waiting and hoping you would have another one! I better get to watching the last season - they're finally are in the late 60s (whoo!) so ill probably make something from there! yes! gorgeous dresses, I'd like to give it a go, will be a first for me. Doing my research- I'm in! Looking forward to my first dress challenge! I'm making time for this! Count me in! No time but I love your idea so I'll try ! OMG I am so IN! I have been waiting for an excuse to buy a certain pattern for ages, and so this is it! I am in! I have read the blogs last year and wanted to do it this year. Thanks for hosting. I am so very in! Taking a huge leap forward with the dress I'm planning so fingers crossed!! YES! I'm so in. I've been non-stop pinning mad men outfits and pictures of Lana del Ray to my inspiration board in my 60s frenzy. YES!! I have the Butterick 5747 pattern already and it will be the first time I've sewn from a paper pattern. Slightly scared - it could be a complete disaster but there's only one way to find out! So excited for this challenge - I absolutely LOVE everything you make!! Yep, I'm in again! Got 3m of sunshine yellow seersucker for the job. Hurrah! Yes! I have already started a pinterest board in honour of the challenge! I'm late to the party, but count me in!! Yes! I'm a little late but definitely in! I'm sewing up my dress right now! Found the perfect pattern from some inspiration last night. I found the perfect pattern for some inspiration last night! I would love to enter but it's now so long since terrestrial TV in the UK showed Mad Men that I feel out of touch with the characters and suspect that the dresses I remember are outdated compared to the frocks in later series you will all be falling in love with. But I might be inspired by the latest crop of your creations. Look forward to the reveal! I'm in & half way finished!! Count me in, please! I loved being a part of this last year and I'll make sure to send in my submissions tonight! Would have done it had I known, grrrrrrrrrrrrr! These sewing challenges are so fun AND one of my fave design eras. Somehow I'd like to be in on the next one. I am SURE there will be a next one . . . riiiight? I know this was fun. Julia, do you think you'll host another? I'd surely like to participate.